The attractive setting of an historic regional capital at the heart of one of the most desirable areas of the country makes this an irresistible location to live and learn in. Our partner training organisations are South West Teacher Training and Bath Spa University, both highly regarded by Ofsted. Click on the links below for more information about what we offer, our courses and how to apply. Watch our promotional video which explains about our outstanding teacher training programmes here in Exeter. ​Exeter Consortium and Teaching School Alliance are committed to robust and effective safeguarding processes. We take our duty of care to our trainee teachers, partner schools/settings and their pupils very seriously. As an Initial Teacher Training provider our safeguarding procedures are subject to Ofsted inspection and we check, on a regular basis, that our policy and practices are in line with the latest statutory requirements. 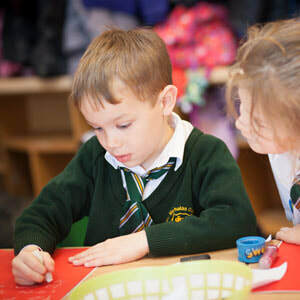 This is a school-based PGCE course designed for those wishing to specialise in the Early Years which spans pre-school, reception and Key Stage 1. Trainees are immersed in their main placement which is always in the Early Years Foundation Stage. Trainees have specific off-site training that is focused on the Foundation Stage, however to complement this there is an enhanced programme of study where the trainees train alongside the 5-11 cohort covering the general professional studies programme (GPS) and the curriculum across Key Stages one and two. As such all those training on the Primary (3-7) course qualify to teach across the primary age range (5-11). This is a school-based PGCE course designed for those wishing to teach across the Primary age range. Trainees are immersed in either Key Stage One or Key Stage Two in their main placement and have specific off-site training that is focused on Key Stage One & Key Stage Two. However, to complement this there is an enhanced programme of study where the trainees train alongside the 3-7 cohort covering the general professional studies programme (GPS) and elements of the Foundation Stage curriculum. 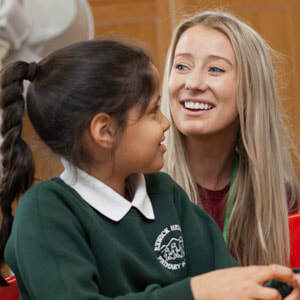 ​The PGCE School Direct course is an absolutely fantastic route which I would highly recommend to anyone looking to pursue a career in primary education. Fantastic support given throughout the course from a range of experienced professionals. Brilliant career links and networking across all of the Consortium schools. High expectations leading to high achievements and employability at the end of the course. Do you have a passion for mathematics and would like to use this within primary schools to engage children, help them overcome their barriers and elevating their enthusiasm towards mathematics? 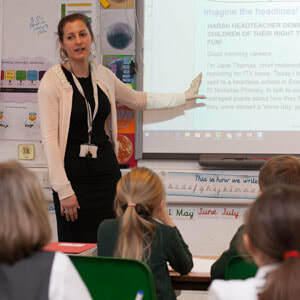 Our Primary with Maths PGCE programme will provide you with an understanding of the National Curriculum in all primary subjects and the essential learning needs of children. Additional mathematics will focus on deepening your understanding of this subject at a primary level. During your time with us, you will also develop your professional values and practice so you can meet the broad demands of teaching. This course attracts bursaries of £6,000 (depending on appropriate qualifications) in line with the government’s priority to increase the number of primary mathematics specialist teachers. The course lays the foundations for you becoming a future leader in mathematics with focused mathematics training sessions, carefully selected school placements and a programme of additional experiences help you develop the specific skills needed to be a Mathematics specialist in school. ​Our Secondary PGCE courses are delivered in partnership with South West Teacher Training SCITT, based at West Exe School in Exeter. The SWTT route offers PGCE and QTS validated by Bath Spa University and provides training for teaching the 11-16 age range with some 16+ enhancement. West Exe School is the main training base for the programme, and the early part of the course is spent here developing general and subject specific teaching skills with experienced teachers. Most (75%) of the 40 week course is made up of placements which take place in two of the 20 partner schools in and around Exeter, and of course this includes West Exe school. All of these excellent partner schools are committed to developing outstanding teachers, and many have Post-16 provision. 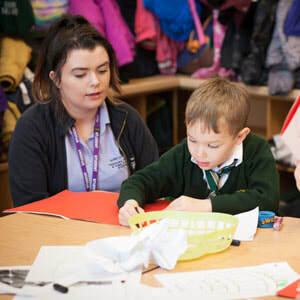 In each school Mentors and Professional Tutors work closely with trainees, and their work is supported by the Subject Course Tutors and other staff based at West Exe School. Assessment of the programme includes the completion of a Qualifying to Teach Evidence Log and 3 written assignments which lead to a Post Graduate Award (60 Masters Credits). ​ This year has been an overwhelmingly positive period of my life – I loved it. ​My future, my career, outlook, ethos, aspirations – all are the results of SWTT teaching.